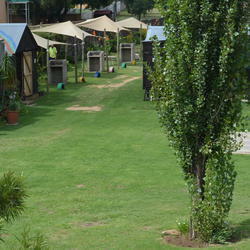 Situated in Bredell Kempton Park, Hee-Haw Party Venue is a clean and spacious venue. Book one of our four lapas to celebrate your special occasion. 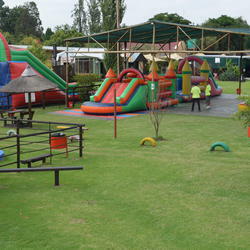 The venue is ideal for kids parties, baby showers and year end functions. 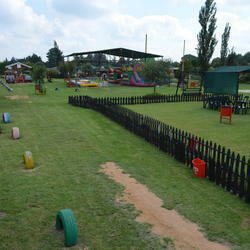 The venue rate includes the following activities: The use of 2 jumping castles, waterslides, 6m (h) Inflatable slide, quad trailer rides, zip line, 5 jungle gyms, 5 trampolines and 3 sandpits, Swings and Slides. 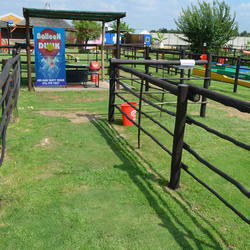 Extra activities include: Putt-Putt, Balloon Dunk and Dunk Tank. 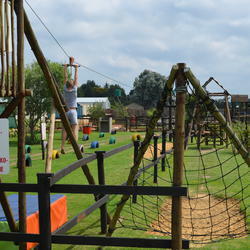 Tickets for the extra activities can be purchased at the tuck shop on the day of your function or pre-booked on the booking form. We can assist with basic décor, party packs and balloons. Hee-Haw Party Venue is used at Own Risk, and children should be warned to use equipment responsibly. Kindly note that Hee-Haw Party Venue is mostly an outdoor venue and we can’t be held responsible for weather conditions or power failures. No booking is necessary to use our picnic spots. 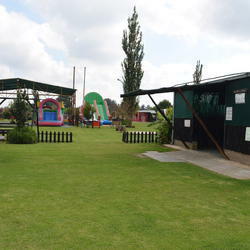 We currently have 19 picnic spots with braai facilities which works on a first come first serve basis. 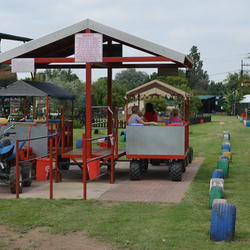 The entrance fee is R40 per person (Adults and Children). Kids under 1 year enters for free. 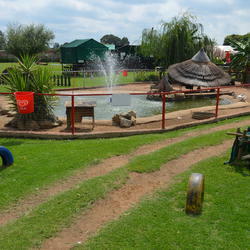 The picnic area opens at 09h00 and closes at 16h00 Tuesday to Sunday. You are more than welcome to bring your own gazebos, camping chairs and tables. If you prefer you can also hire tables, chairs and umbrellas from us on the day of your function. 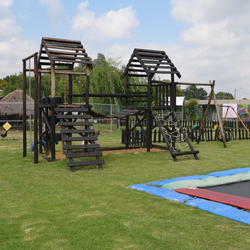 Whether you bring a picnic basket or have a braai this is the perfect way to spend the day outdoors with the family. Please also support our tuck shop during your stay. For everyone's comfort and safety, please leave pets at home. Handicap assistive pets are always permitted. - The afternoon session can be extended with a max of 2 hours at R400 per hour.